Singer songwriter Donna Ulisse and guitar virtuoso Bryan Sutton are preparing to team up for their second studio effort on the Hadley Music Group label. The album will be Ulisse's eighth release on the label. Nashville, TN -- Bryan Sutton returns to Sugar Hill Records with his fourth solo release, Into My Own, on April 29, 2014. “The goal,” Bryan Sutton says, “was to try to make a record that only I could make.” Indeed, even a cursory listen is enough to establish that Into My Own, his fourth album for Sugar Hill Records, fulfills that goal—and does so in a way that reflects not only the instrumental virtuosity that his admirers have come to expect, but also the spirit and sensibilities of a musician intent on challenging himself to continuously grow in every way. Nashville, TN -- Bryan Sutton returns to Sugar Hill Records with his fourth solo release, Into My Own, available April 29, 2014. 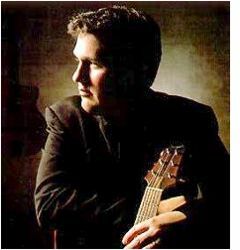 “The goal,” Bryan Sutton says, “was to try to make a record that only I could make.” Indeed, even a cursory listen is enough to establish that Into My Own, his fourth album for Sugar Hill Records, fulfills that goal—and does so in a way that reflects not only the instrumental virtuosity that his admirers have come to expect, but also the spirit and sensibilities of a musician intent on challenging himself to continuously grow in every way. Wilkesboro, NC -- MerleFest, presented by Lowe’s and slated for April 24-27, 2014, introduced a sneak peek to its lineup at International Bluegrass Music Association’s (IBMA) World of Bluegrass in Raleigh, and many of the artists on the sneak peek lineup brought home IBMA awards. MerleFest was a sponsor for the North Carolina Bluegrass Pavilion at this year's World of Bluegrass. MerleFest, a four-day event that is an annual homecoming of musicians and music fans, will once again take place on the campus of Wilkes Community College in Wilkesboro, North Carolina. 6th Annual Sedona Bluegrass Festival – Music's in the Air! Sedona, Arizona is known for its majestic red rocks, mystical vortexes and amazing hikes, but there is much more to Sedona. 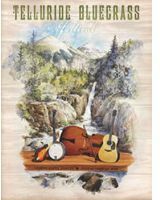 The music in Sedona is not only incredible, but extremely diverse as well, including the 6th Annual Sedona Bluegrass Festival held Sunday, June 3, 2012, 12:00 - 6:00pm at the Los Abrigados, Creekside. Spring is a magical, musical season in Sedona. Music lovers have a variety of genres and events to choose from, with Sedona's majestic red rocks serving as a beautiful backdrop for days and nights filled with song; perfect for a Musical Sedona Arizona Vacation! Read more about 6th Annual Sedona Bluegrass Festival – Music's in the Air! It's a classic "local boy makes good," story. Bryan Sutton, raised in Buncombe County, has enjoyed a career of great success by any measure as a guitarist who has garnered multiple Grammy awards and recorded with the likes of Dolly Parton, Norah Jones and Doc Watson. 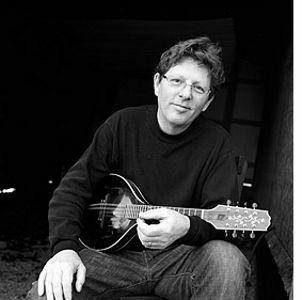 Most notably, Sutton spent four years as a member of Ricky Skagg's band, Kentucky Thunder, during a time when Skaggs reentered the bluegrass scene after a successful stint in mainstream country music.